Home Budget 101Budget Tips	Cash Envelope Budget? What is it? And why you need it. Cash Envelope Budget? What is it? And why you need it. When it comes to financial fitness, a sound, practical budget is required no matter what your goals are. Have you ever come to the end of the month and asked, “Where did all the money go?” The convenience of plastic has made it far too easy to make purchases that we might not make if we had to dip into our wallet and make a cash purchase. That’s why we started using the cash envelope system inspired by Dave Ramsey. Studies have shown that spending increases as the means to pay for an item becomes easier. In other words, credit cards have made buying easier, so we’re more likely to buy more stuff without thinking until the bill comes at the end of the month! Likewise, new ‘pay with a wave’ credit cards will make it easier still and foster even more poor spending habits. I’m a big believer in the notion that cash is king when it comes to paying for items. If you don’t have the cash, you can’t afford the item and shouldn’t buy it. Gather up all your credit card, bank statements, invoices, and receipts from the previous month. Or link up all your credit cards, and banks to an app like Personal Capital and let them do the heavy lifting. If you can get two or three months worth of information that is better but one month will do for now. From your statements, invoices and receipts take note of everything you spent money on (i.e. variable expenses only) during that period then add them up into four or five broad categories. For example, you might add up all the times you bought gas for the month and put it into a category called “Transportation.” Any money spent on anything related to transportation goes into that category (this would include things like gas, motor oil, tune ups etc.) You might have another category for “Groceries”, every time you spend money at the grocery store it would be added to this category and so on. This will be the basis of your envelope budget categories. * Do NOT include fixed payments or expenses in this calculation. Expenses like your mortgage, car payments, utility bills etc should be left out of the budget. Your envelope categories can be as broad or as narrow as you want, it’s up to you. If you want many categories you can use the broad categories from step 1 and expand them until you’re satisfied you have the right number of categories for your envelopes; on the other hand you might be happy sticking with four or five broad categories for now, you can always add more categories later if you need to. 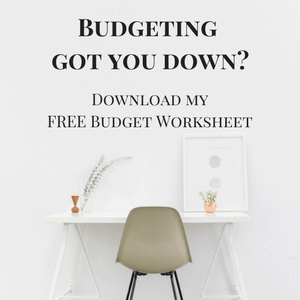 It’s better to keep it down to just a few categories, your budget will be far easier and less time consuming to manage than if you use a lot of categories (ten or more). Now comes the fun part! Label your envelopes and fill them with the cash amounts you calculated in step 1. How often you get paid will dictate how much to put into the envelopes. For example, if you get paid bi-weekly then you will be funding your envelopes every two weeks. The cash in each envelope will have to last until your next pay period. With your envelope budget now complete, its time for the real test – putting it into practice. You should not expect the perfect budget on the first pass or even the second try. It will take a lot of trial and error before you finally find the right mix and develop the perfect envelope budget. Give it some time – As I mentioned previously, the envelope budgeting system is not perfect or exact but it will work if you give it a chance. It may take you several tries before you finally perfect your budget. the key is to just keep tweaking and changing it until you do get it right. The envelope budgeting system is a simple procedure that can cure bad spending habits and help you stay on your monthly budget. It is worth investing some time and effort into.